Virtual operators are sprouting up like weeds in a garden – except these weeds are starting to look a lot more attractive than the rose beds they’re enveloping. These mobile virtual network operators (MVNOs) essentially resell the voice and data services of big operators, but often at much lower prices and with more flexible plans. In just the last few weeks we’ve seen several new ones pop up. Last Friday, GSM Nation gave us a sneak peak at the MVNO it plans to birth this fall, distinguishing itself from the pack with a retail portal that sells almost any smartphone. Data-only operator Karma emerged last week, touting a unique social model for sharing bandwidth with the masses. Last month, Voyager Mobile launched offering two simple but comprehensive plans – one with data and one without. MVNOs all but died out in the last decade, victim to their own over-segmentation of the market. The only survivors were the ones who kept their focus on the budget prepaid segment like TracFone(s AMX) and operator-owned sub-brands like Virgin Mobile and Boost Mobile. So why the sudden of flurry of activity in the last year? We posed that question to a couple of MVNOs and their answer was a bit surprising: MVNOs are thriving because the big network operators are letting them thrive. A good deal of new MVNOs have built their business models around cheap and plentiful data, and there’s a reason: operators have become much more flexible on how they charge for mobile broadband. For the longest time, carriers simply wouldn’t give MVNOs access to their data networks. When they started to so, they charged prohibitive rates and made their virtual partners pay for their megabytes up front, making it very hard for MVNOs to craft reasonable data plans, GSM Nation CEO Ahmed Khattak said. But nine months ago, AT&T(s t) and T-Mobile started selling data and voice airtime by the bucket, which gives MVNOs much more flexibility in pricing, Khattak said. Even more significantly, those carriers started working directly with MVNOs to craft unique plans in exchange for a percentage of the plans’ revenues. The MVNO submits a proposed bundle of minutes and data to an carrier – along with a $15,000 fee — and if it’s approved, the carrier then takes 25 percent to 30 percent off the top of every monthly bill, Khattak said. With those new policies in place, it makes it very easy and very cheap to launch an MVNO, Khattak said. GSM Nation will get off the ground with only $700,000 in investment, supplemented by revenues from its smartphone retail business, Khattak said. Another key factor was that AT&T doesn’t allow MVNOs to sell any handsets Ma Bell currently it offers, which would have prevented GSM Nation from connecting the Apple iPhones(s aapl) and Galaxy devices it retails in its online store. Since GSM Nation is first and foremost an unlocked phone purveyor, that policy was deal-killer for Khattak. But it certainly hasn’t stopped other MVNOs from signing up with AT&T. 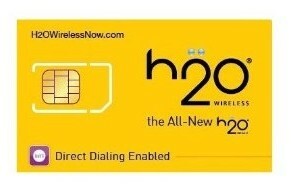 TracFone’s Straight Talk, H2O Wireless and Red Pocket offer SIM-only plans that allow it bypass that restriction as long as their customers bring their own devices to the network. Sprint(s s) has a long history of supporting MVNOs, but recently it has opened its network even further to wholesale partners, said Elliot Noss, president and CEO of Tucows, a webhosting company that launched its own MVNO, Ting, in February. Sprint’s wholesale rates and flexible policies allow Ting to offer some of the most innovative – and potentially disruptive plans – in the industry. 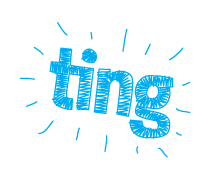 Ting sells the closest thing the U.S. has to metered data plan. Customers sign up for tiers or minutes, SMS and data, but if you use less than your plan’s allotment in a given month, Ting will credit you for the unused minutes, texts or data on your next. If you use more Ting will charge you for the additional usage at no penalty. According to Noss, Ting’s savviest customers merely select zero in all three categories and just pay for what they consume each month. Sprint’s embrace of the virtual operator model has landed it a lot of partners. Republic Wireless, Voyager, Movida, Kajeet and a dozen others all use Sprint’s network. Sprint’s friendliness toward MVNOs carries over to its 4G partner Clearwire(s clwr) – in which Sprint owns a plurality stake. Data-only MVNOs like Karma, NetZero(s untd) and FreedomPop, as well as Ting, have all signed on with the WiMAX carrier. Sprint does place some restrictions on handsets Ting is allowed to sell, and as a CDMA carrier it can’t resort to SIM card plans to bypass those policies. But Sprint only bans some devices, and the exclusivity period is relatively short, Noss said. “Basically, if they’re putting a big advertising push behind a device, they’re going to want time to reap the benefits of that push themselves,” Noss said. Sprint is also much less protective of its network than others. For instance, Sprint has agreed to make to make its LTE network, launching this summer, immediately available to Ting. Are the carriers coming to MVNOs or are they being dragged? Khattak believes that the big carriers have thrown in the towel, and have adopted a if-you-can’t-beat-‘em-join-‘em attitude toward the market. Operators know they’re going to continue to lose customers to these new competitive virtual operators, so they might as well reap the wholesale revenues rather than give that business to another operator, Khattak said. Noss doesn’t see it that way. With the exceptions of Sprint and Clearwire, the carriers are being dragged kicking and screaming to MVNOs – they simply have no choice. Bigger MNOs will let them thrive, thrive for now to let MVNOs experiment with all new models and then survival of fittest kicks in, and then they will acquire the best model or company to stay in business, seeding thier business for future! The big problem with most MVNOs is the coverage and the lack of roaming. Except for Page Plus, which uses Verizon’s network, and allows extra-cost roaming onto other CDMA carriers, if you’re on a Sprint or T-Mobile MVNO that doesn’t allow any off-network roaming then your coverage is extremely limited. We compiled that list April 2011, yes it is a fast moving sector but you can’t compare it with the status of MNOs. Just because the operation doesn’t have a multi million user base doesn’t mean they’ve failed. Anyone going into the MVNO sector to be akin to Sprint or T-Mobile is going to fail (unless they have an America Movil style background). This sector is about identifying a subscriber base of 1,000 people and rising to millions to lock into and profit from. And I do expect some of that list to be gone (those are company names rather than their brands). You forgot TruConnect which actually does have a metered data plan, and not just close: $4.99/month + 3.9 cents/MB (data on Ting is cheaper, but a somewhat higher monthly fee) for TruConnect. Not surprisingly it is also a Sprint MVNO. Why the resurgence in MVNOs now? Three reasons: (1) T-Mobile has joined Sprint in embracing the wholesale market as part of their overall strategy, giving prospective MVNOs real choices in host operators; (2) Tier 1 operators remain focused on the mass market (and never have been good at segments or niches); (3) The original MVNOs — Tracfone, Virgin and Boost — are fat and happy (if not a little long in the tooth), and have lost their innovative edge (or any edge at all). As the ethnic market continues to grow in the US, value plans and BYOD models are appealing, with new enthusiasm fueled by Tracfone’s acquisition of Simple Mobile. Finally, MVNOs are surging around the world, with 812 MVNOs worldwide (according to Wireless Intelligence). Many successful MVNOs from outside the US are looking at entering the US market, and finding receptivity among host carriers. There will be a lot of new faces in the market over the next year, and some will do quite well. This is very interesting development given the recent AT&T and T-Mo merger activities. One had thought that the market had run it’s course for new operators. The main challenge will be scale IMHO in a cost-effective way. Acquiring and retaining customers is still going to be the same effective challenge that all operators and MVNO’s have had faced in the past. Support of the right cost structure from the operator for “data and handsets” is clearly a must for MVNO’s to be on par with the major players, but let us see how these guys do. It isn’t only an issue of cost reduction and simplicity. Going after immigrants, different age groups or even sport fans. I expect to see a lot more of these niches, where the actual service provided is a lot more than just the phone/SMS/data plans a “normal” carrier provides. I think the big shift has been from a content mindset, which seemed to be driving the failed MVNOs (Amp’d, Disney) to a more general data mindset. I think they’re going after the same customers; they just aren’t pigeonholing their services, allowing whatever demographic to tailor whatever set of services they want. My company needs access to an MVNO – please contact me, ted@calltrunk.com.